Pop Culture Happy Hour: 'Girls' Edition, Women's Edition On this week's show, it's four women talking about four Girls, plus a roundtable on what we're reading right now and what's making us happy. 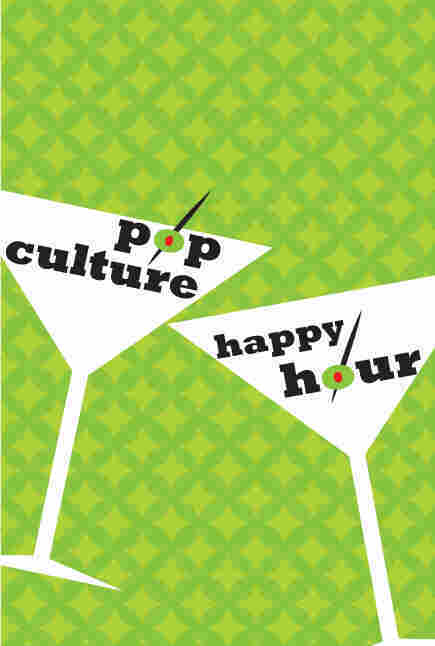 For a few months now, we've been talking about putting together a special episode where I could sit down with Parul Sehgal, Barrie Hardymon, and Tanya Ballard Brown for what some of the men on the usual panel were referring to as "Gorgeous Ladies Of Pop Culture Happy Hour." It was, believe it or not, a complete coincidence that we finally pulled it together during the week that HBO premiered Lena Dunham's much-discussed Girls. We hesitated to talk about it, for fear it would seem like we were banishing "girl topics" to the "girl show," but the truth is — this is probably what we'd have been talking about anyway, so we did. We talked about the gender stuff, the race stuff, the privilege stuff, and lots of other stuff, so please enjoy that. After that, we asked a simple question: What Are You Reading? This led to, among other things, Parul's explanation of her resolution to read a lot of books that people may believe erroneously she has already read, along with a spirited exchange between Parul and Barrie that provides persuasive evidence that they really need a spin-off books podcast. Of course, no episode is complete without What's Making Us Happy This Week, and we all pitched in, from baseball in the sunshine to birthdays to Sunday night television. Find us on Facebook or on Twitter — the other panelists this week are linked above, or you can follow me or our esteemed producer, Mike Katzif, who bravely represented dudekind during the taping.